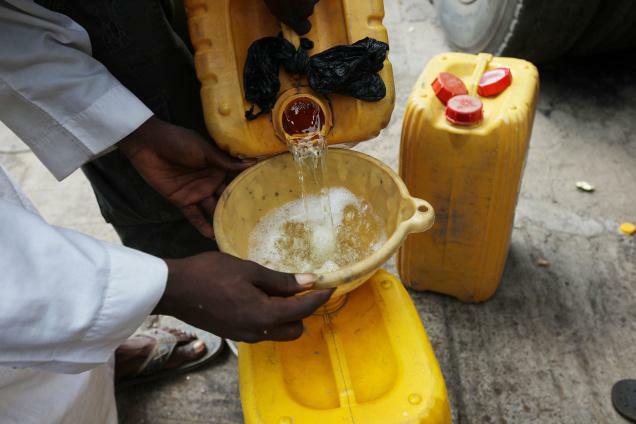 A Zambian pastor, identified as Andrew CFM, has claimed to have turned water into kerosene during his church service. The pastor, popularly called Seer 1, was said to have asked the congregation to come with a bottle of water each, assuring that he was going to turn the contents variously into wine, kerosene, and even petrol. He reportedly had his own bottles too, which he laid on the floor before the altar and prayed on the contents to be turned into kerosene. After the ‘prayers,’ Seer 1 picked up one of the bottles and poured the contents on a folded paper and lit it. As the fire burned, the church erupted in a shout from the worshipers. Everyone who made it to the ‘miracle spot’ touched whatever was seeping out of the burning bottles and anointed themselves with it. Controversies have since trailed the alleged miracle.